4K. 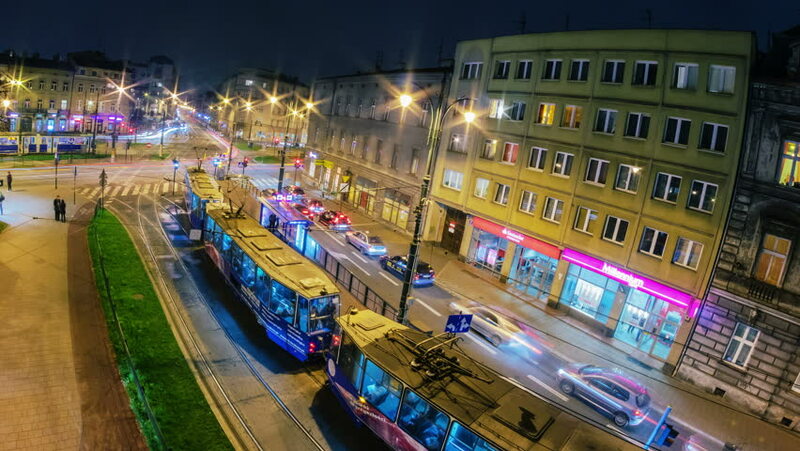 KRAKOW - OCTOBER 22 (TIMELAPSE): People waiting for tram at the stop on October 22, 2012 in Krakow, Poland. Krakow is the second largest and one of the oldest cities in Poland. hd00:07KRAKOW - OCTOBER 22: (TIMELAPSE) People waiting for tram at the stop on October 22, 2012 in Krakow, Poland. Krakow is the second largest and one of the oldest cities in Poland. 4k00:15BANGKOK, THAILAND - 3 MAR 2016: beautiful water fountain colored by flashing multicolored lights in front of entrance to modern shopping mall Siam Paragon and people passing by. Camera stays still. 4k00:15BANGKOK, THAILAND - JANUARY 24: Time-lapse view of a footbridge and the traffic at night on January 24, 2016 in Bangkok, Thailand.